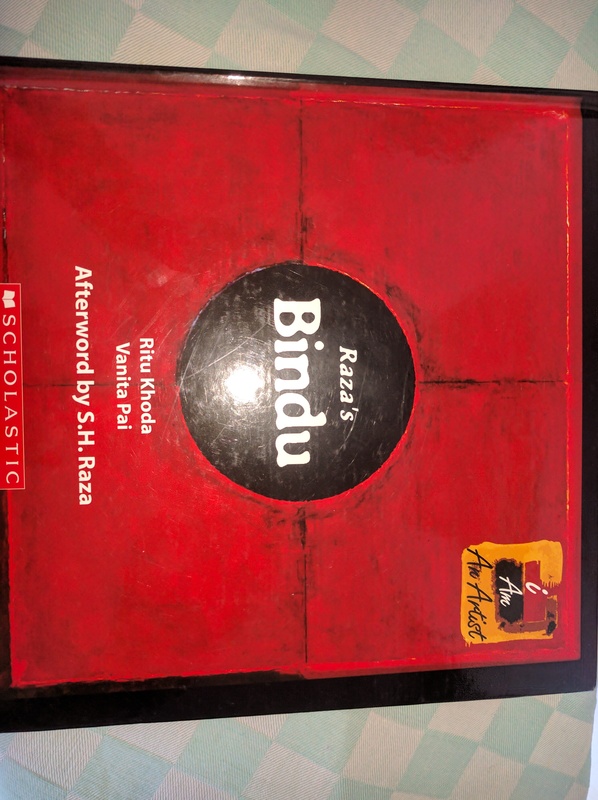 In late 2014 Scholastic India published a remarkable little book called Raza’s Bindu. It is the first in “I am an Artist” series created by the firm to introduce children to great Indian modern artists. This book is to be followed by a peek into the life and works of another famous painter Ambadas. 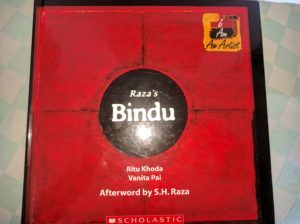 Raza’s Bindu is a slim and neatly produced little hardback that introduces children to the life of renowned painter S.H. Raza. Instead of being merely a dry autobiographical account the book incorporates fabulous tasks for the child to engage with. 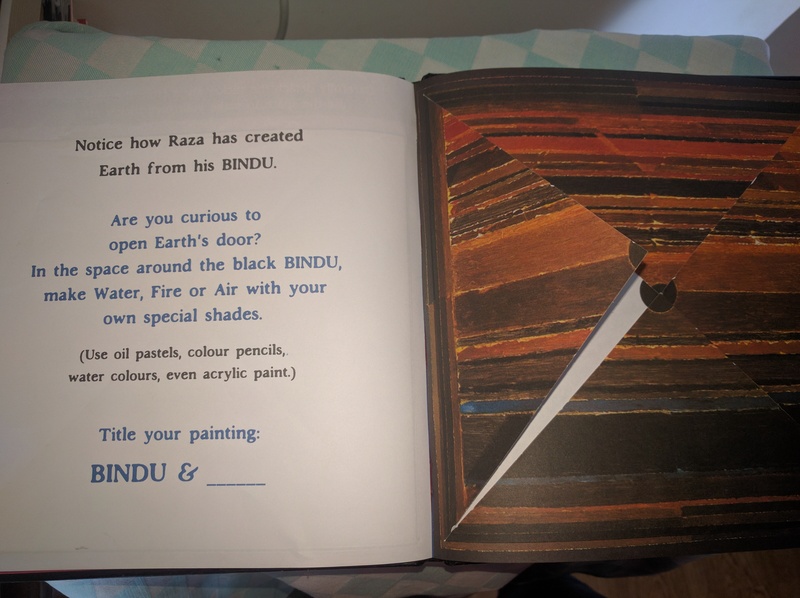 They are not run-of-the-mill instructions of creating paintings at home but pages incorporated into the book design that permit the child to scribble happily in the book itself. 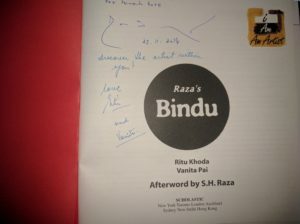 Though the book could not have been easy to put through to production with its fussy detailing it is reasonably priced at Rs 350. Yesterday with the sad news of the passing away of ninety-four-year old Raza I could not help but reflect on the remarkable legacy he has left for the next generation of children and more. 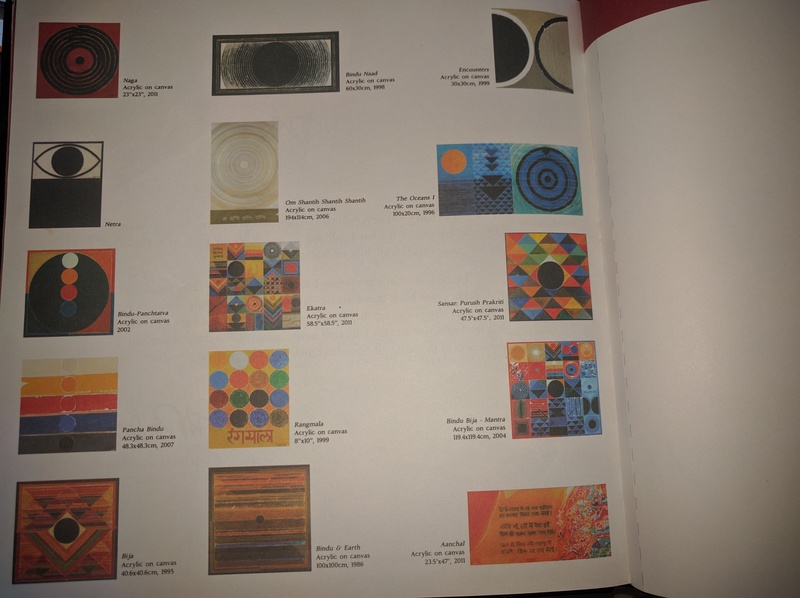 Sure his paintings hang in galleries and private collections around the world but in his final years he was able to reach out generously to children breaking into tiny morsels his philosophy of painting by exploring the multiple possibilites which reside in the universal dot or bindu. Is it a window to the world? Does it represent the God who resides in one’s heart? Is it the Panchtatva ( five elements — earth, water, fire, air and space) that exist in all his paintings? By mixing storytelling especially beginning with him being a daydreamer in class who was more intent on doodling till he reprimanded by his teacher and asked as a punishment to stare at a dot drawn on the blackboard. It was to be the turning point in Raza’s life. In fact some of his more familiar paintings incorporated into the book will resonate with the young reader. This is a tremendous book conceptualised and created by Ritu Khoda and Vanita Pai.